I mentioned in a recent Daybook Online Journal post, Daybook Online Journal: Lent Begins, that I need to amp up my prayer life. I need to become more focused and intentional. I decided to create a prayer journal because, in addition to focus and intention, I also need accountability. And, because I’m a visual person and figured some of you may be as well, I made a video showing you how I set up my new prayer journal. It was hard finding a pocket of quiet in my home on a snowy, inside day to make the video. Thanks be to God I have healthy, sometimes noisy children. Using this prayer journal alongside my Bible journaling has already been a much-needed help in my devotional time. To get my prayer journal started, I composed a set of prayers inspired by the Scriptures, by other prayers I’ve prayed, devotionals I’ve read, and from prompts from the Holy Spirit. These prayers form the spine of my daily prayer. 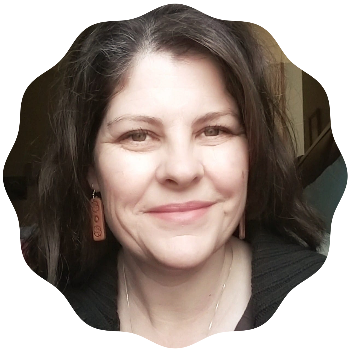 When I can’t find the words or think of the intentions I have for myself, my husband or my children, these prayers will be a great starting point and a firm foundation of the desires of my heart. The prayers I composed for myself address the various and intricate parts of my life as a child of God, wife, mother, friend, and writer. My prayers contain an underlying thread repeating some daily affirmations that I need to help keep my mind healthy and strong. These prayers needed verses specifically about joy, gratitude, and hope. While pondering the prayers for my husband Chris, I wanted to acknowledge the fact that the world is difficult. I respect and am so appreciative of the time he spends each day in such a difficult place so he can provide for his family. I wanted my prayers to include the intention that he would recognize the need to take up his cross and seek his comfort and consolation in Christ with all meekness and humility. As I was composing the prayers for my children, I was literally moved to tears. It hit me in a powerful way the necessity of my prayers for them and especially for my prayers for each one of them individually and specifically. And not just specifically for each one of them individually, but also for the specifics of their lives: the things they view as forms of entertainment, their friendships, vocation, and future spouses. The prayers I composed are available as free printables for subscribers of The Littlest Way. What, you have not signed up to receive The Littlest Way in your email? Click here now and never miss a new post. 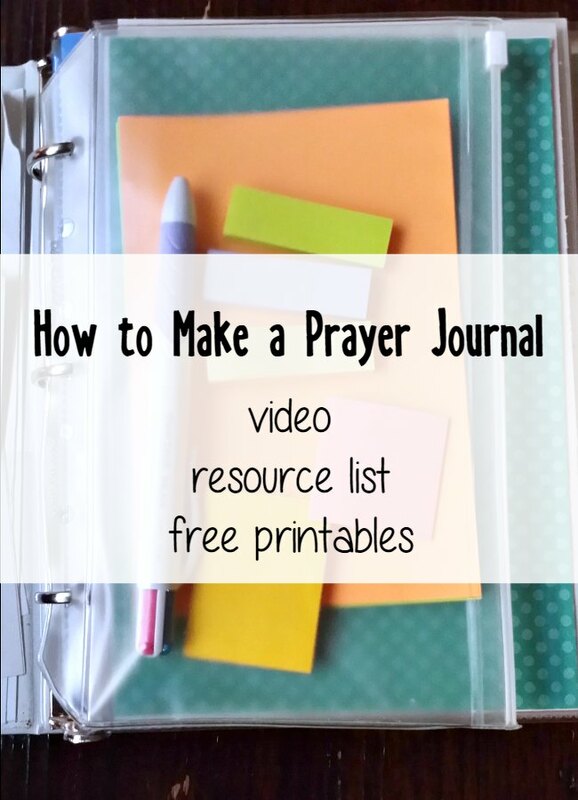 Here’s a list of resources I used–or wished I would have used–to make my prayer journal. I purchased some of these supplies over a year ago at Target for something else, so I’ll link to Amazon in case Target doesn’t have something in stock or you would rather just order online.
. I’m ordering online next time. For a copy of the prayers, please subscribe to receive The Littlest Way by email–Click Here. If you use a prayer journal or prayer binder, leave a comment giving me the ins and out of your prayer journal. Thank you for sharing your prayer journal and all the areas you included in your prayers. I decided to pray for the members of my church as a way to be more intentional for Lent this year. I also was reading a book by Trevor Hudson, 40 words for 40 days. This has helped me focus and although I had some days that I didn’t record my prayers at least it helped me stay committed to this plan. I will probably used some of your ideas as I continue to use this prayer journal in my daily prayers and a reminder of all the areas that need prayers. Thanks so much. I need to write an update post on my prayer journal. I’ve made a few tweaks. It really does help keep you accountable doesn’t? In a good way, not as a burden. Hi! I found your prayer journal on Pinterest. I can’t find the printabled for each section from Crystal. I clicked the link in your page, but it goes to elf on the shelf post. Where do I go on her page? Thank you so much!! Hi Carrie. I’m not sure what link is taking you to Crystal? To access the free printable prayer journal pages, sign up to receive The Littlest Way by email and you’ll be directed to a page full of freebies for email subscribers. Thank you and Welcome! Hi Jenny! A couple of months ago I saw the movie THE WAR ROOM and it inspired me to be more purposeful in my prayer life. I don’t really have a room or closet I can devote to prayer but I had the idea to have a prayer journal/notebook where I could keep everything all together including printed prayers to pray for different people and a place to keep track of answered prayer, etc. Although I have already made my notebook, your printables, and how to get resources will be very helpful. Thank you for sharing and God bless you! You are very welcome Terry! I’m in a season where I need more prayer room. I’ve started using a larger binder during this season and will be posting a video explaining the why’s and how’s shortly. I’m having trouble finding the prayer pintables for the prayer journal. Can you please help? I’m so glad to have found your page on Pinterest!! Thank you! The free printables are for email subscribers. Have you subscribed yet? If so, you should have been directed to a page of free printables. Let me know if you have any problems and I will be happy to help. You don’t make it easy to find the prayers I regret signing up to your page I feel I was forced to sign up to your page and then didn’t even get them. Very disappointed. I’m sorry you felt forced to sign up. You should have been directed to a page with images to click on for the free printables. I just closed my computer for the night but I will personally email them to you as an attachment in the morning. God bless and goodnight. Hi Jenny. I found this on Pinterest. Such great encouragement for my prayer life. Thank you. You offer wonderful ideas here. Thank you so much for taking the time to leave a comment Janet. I’m glad you found this helpful! You are such a,blessing to me the wonderful Sunday afternoon! 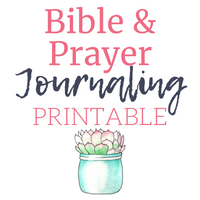 I’ve just discovered prayer journaling, but am also quite fond of my regular bible and was wondering if there was possibly another way to do the journaling, then I came across your prayer journal and you made my heart leap with such excitement and joy!! This will be my goal to get started and organized this week after my busy work schedule! Thank you for your wonderful examples and your hard work you have put into your projects and for showing them to us to inspire!! Oh Janice, thank you for taking the time to leave such an encouraging comment! I am so happy you have found my prayer journaling tips helpful. Janice, your comment is so kind. Have you gotten your journal put together yet? I’d love to see it if you could post a picture somewhere. This was such a blessing! Thank you for sharing – I’ve been struggling for months on how to structure my prayer/devotional time in order to make the most out of it. Most days I just feel like I am missing something. I plan on establishing a prayer journal to help keep me accountable and intentional (as you’ve said in your video:). Thank you again! How’s it going Jasmine? 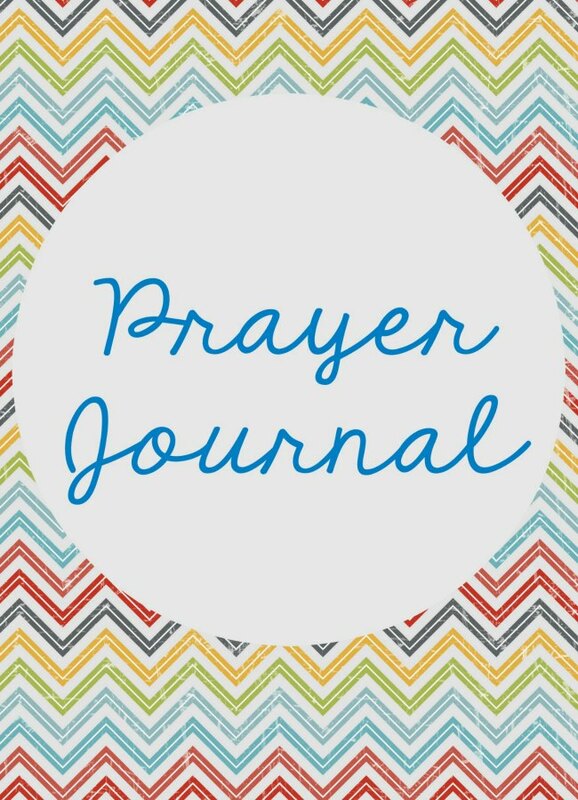 Did you get your prayer Journal set up? Yes I have set my prayer journal up. It isn’t as elaborate as yours but it serves its purpose! I have felt so empowered since establishing it. I also have noticed that my relationships have become stronger. There has been a complete turnaround since I’ve started this – thank you!! The next time I post, you will receive an email and at the bottom of the email there will be a link for the prayers. Well Cindy, thanks for such a nice comment. I too get tangled up in the details and forget to just keep it simple…only what I need. This is really lovely, Jenny! I admire how you saw a need—the need to pray more intentionally for your children—and you came up with a solution. You are so good at that, like with your Bible journaling, too! God bless you in your prayer time! This is beautiful and organized!! I must confess, not my style. 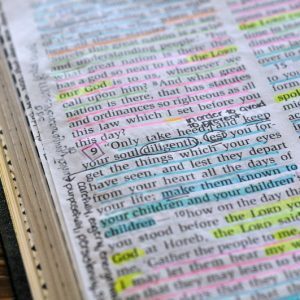 I have a composition book I use for all things spiritual – prayer, verses I want to memorize, Bible studies. I just put everything in there. 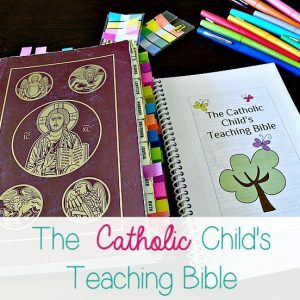 I did, however, read “Praying Circles Around Your Kids”, and I was motivated to start a prayer journal for each individual child, listing everything I ask God for them, all the verses I pray over them, from now until they are teens. I think the organization you provided for this one may make it easier to read/follow in the future. Thanks! I started that book but never finished it, thanks for the reminder.